Super Savings Item! 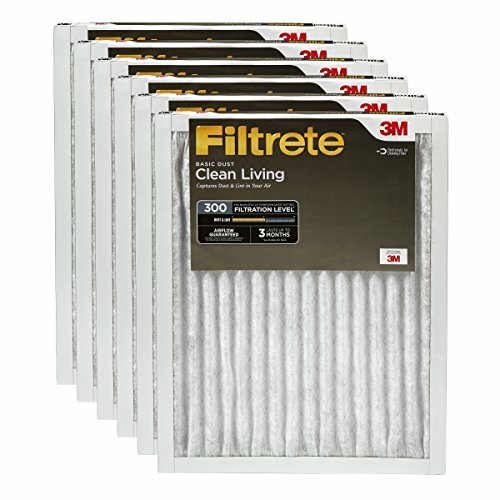 Save 32% on the Filtrete Clean Living Basic Dust AC Furnace Air Filter, MPR 300, 20 x 20 x 1-Inches, 6-Pack by Filtrete at In The National Interest. MPN: 302DC-6. Hurry! Limited time offer. Offer valid only while supplies last. 302DC-6 Size: 20'' H x 20'' W x 1'' D Features: -Ideal for high velocity equipment. -Attracts and captures household dust. -For residential use only.